Usually, when one thinks of floods, they think of news reports showing entire communities underwater, entire neighborhoods wiped out, and scores of residents displaced for days or weeks. Fortunately, most home flooding is not going to be that bad. Unfortunately, it will often be bad enough. Take a long close look at your living room. Get the picture in your head. Now picture it with an inch of water covering it. Just an inch. You will discover that there is a lot of damage that an inch of water can do. An inch of water can ruin the carpeting the padding, and the flooring beneath. It can begin to soak up into the drywall, causing it to swell and stain. If you have vents on the floor, congratulations….you now have a compromised HVAC system. Some homes also have floor mounted power sockets, which means you can consider your home electrical system fried. That ringing sound you just heard was the little cashier in your head running up a repair tab of hundreds or even thousands of dollars, and all due to an inch of water in the room. Of course there are a few things you can do to minimize the problem. Getting rid of carpets and going with hardwood floors is one thing. You will still have a damaged floor, but you will only have the floor, not the added expense of a carpet. Air conditioning and heating vents may be moved to a higher elevation on the walls. True, they won’t be as subtle as the floor mount, but they won’t be a water risk either. Similarly, electrical outlets should be moved higher on the walls to avoid any risk of electrical issues or shock. Sofas and chairs should have actual legs as opposed to allowing the fabric and upholstery to touch the floor. Remember, we’re only talking an inch here. You should also know where the cutoff valve is for your water supply, in case the flooding is the result of a burst pipe. Shut off the water immediately to help minimize the damage. If the flooding came from the outside, well, it’s too late to do anything about it at this point. In the future, however, you should check to make sure that the landscaping in your yard slopes away from the home for a distance of no less than ten feet, but preferably more. In addition to shutting off the water, also know how to shut off the utilities servicing the home. Electricity and water do not mix at all, and gas should be shut off just for good measure. Avoid walking in any standing water as long as the electricity is on. 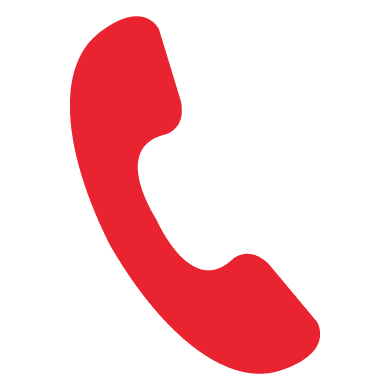 And finally, you should have the contact information for a local, qualified and competent water damage and home flooding restoration company, one who is Clean Trust certified, available 24/7, and able to handle any and all aspects of even the largest water damage scenarios.